Join us for our newest monthly event upstairs! 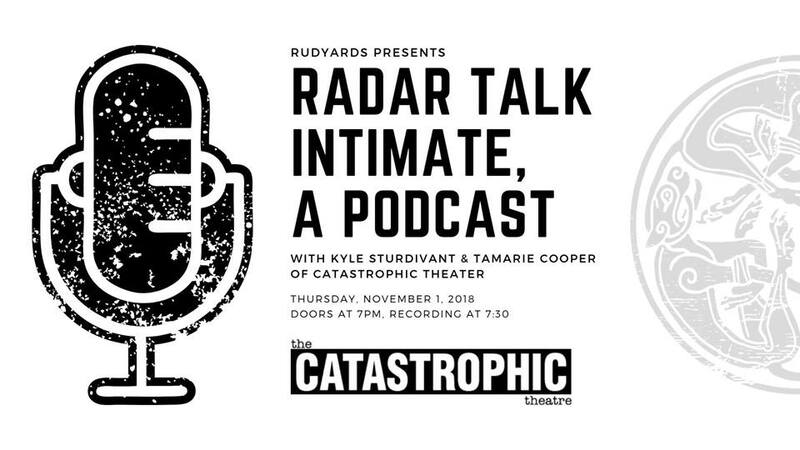 Radar Talk Intimate, a Podcast will have a live taping with Catastrophic Theater members Kyle Sturdivant & Tamarie Cooper discussing all things related and unrelated to theater in Houston. Doors at 7pm & Recording at 7:30. There will be a 15-20 minute break in the middle as well as a Live Mic for the audience to participate. Every month will feature a new guest!